King of the Cage action is scheduled to be live this weekend in Towoac, Colorado inside the Ute Mountain Casino. 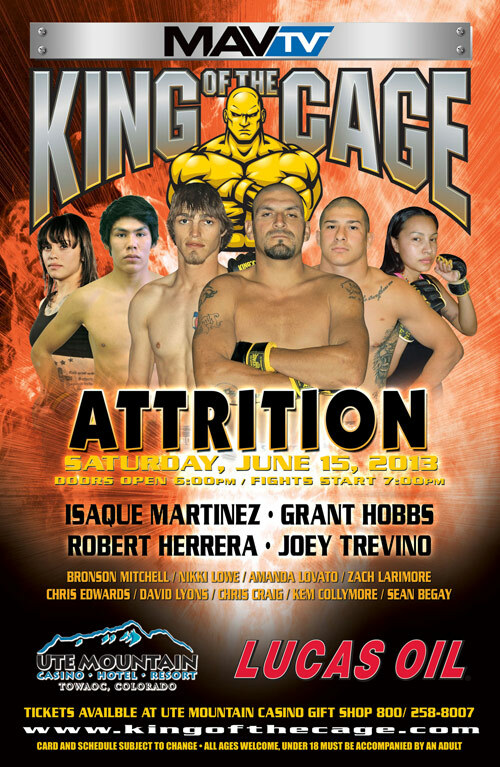 On June 15th, the promotions event titled “Attrition” will feature several local New Mexico fighters as well as some familiar faces to the regional fight fans. 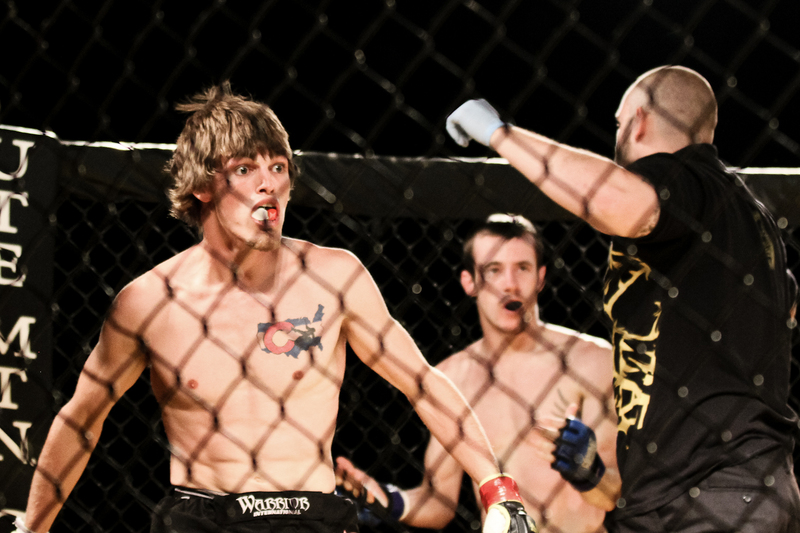 In main event action, KOTC veteran Grant Hobbs (3-1) will compete in his twelfth fight between his amateur and professional career all of which coming under the King of the Cage banner. Hobbs holds notable wins over two New Mexico based fighters in Gene Perez and Skyler Pendleton. His opponent will be Joe Salazar of Tucumcari who New Mexico fight fans may recognize as one of the opponents of Jiu Jitsu Ace Rafael “Barata” de Freitas. Serving as the evening’s co-main event, two Albuquerque women will take to the cage for some MMA action. Representing FIT NHB, Nikki Lowe (1-1) will take on Judgement MMA’s Amanda Lovato (2-0). Lowe is also a veteran of the KOTC circuit which is opposite of her opponent Lovato who just made her MMA debut this year. Joining Lowe in her trip to Towoac, Charlie Williams will also make the trip from FIT NHB to Ute Mountain Casino. The duo from FIT NHB will only be a small percentage of the amount of fighters from New Mexico making the trip up North. Scheduled for the card, Amanda Lovato’s teammates Ozzy Chavez and Jesse Sandoval will be representing their Rio Rancho gym in MMA competition. Team Fierce out of Gallup will also be represented heavily on the card as Joseph Hartell and Bronson Mitchell are two of the five amateurs set to represent their gym. Farmington’s 505 Fight Factory will send Robert Herrera and Grants gym J5 MMA fighter Jerald Aldalco will round out the fighters to represent the state of New Mexico out in Colorado. The rest of the fighters from outside our state lines will be coming from the Colorado cities of Cortez, Grand Junction, Durango as well as Blanding, Utah.